Quanzhou Cooway Shoes Trading Co., Ltd.
Quanzhou Liao Trade Co., Ltd.
Quanzhou Hongda Business Co., Ltd.
Yiwu Qianlang Trading Co., Ltd.
Hangzhou Jiuhe Electronic Commerce Co., Ltd.
Chengdu Aisimi Shoes Co., Ltd.
Korsvigotti (Beijing) International Trading Co., Ltd.
Jinjiang Topway Import & Export Co., Ltd.
Yangzhou Kailai Footwear & Packaging Co., Ltd.
Latest design popular woman manufacturers cheap loafer shoes manufacturers Product Overviews Item No. LZ-134S Material weave Size 35-40# Color red,blue,green or as customer's request Packing Polybag,color box,or as request Customized OEM&ODM are welcomed Packaging & Shipping MOQ 600pairs for each color each style Sample 7-15days for manufacturers cheap loafer shoes Delivery Time 30-50days after receiving the deposit Payment Terms deposit, 70% against copy of B/L) or L/C at sight Size Chart Trade Transportation Factory Tour Our Advantages (1)---With favorable geographic location,the company has outstanding merits (2)---Global leading professional supplier of shoe ,shoes machine,shoes mould (3)---High quality & reasonable price product (4)---Monthly Production Capacity:around 20000pairs (5)---Fast Delivery:30-50days after receiving the deposit (6)---OEM & ODM are warmly welcomed (7)---Convenient Transportation:15 minutes to Jinjiang airport,1 hour to Xiamen airport. Wenzhou Minyo International Trading Co., Ltd.
Xiamen Gallant Import & Export Co., Ltd.
Quanzhou Folin Import & Export Trading Co., Ltd.
Jinjiang Minika Shoes Co., Ltd.
Dongguan Yecheng Trading Co., Ltd.
Ningbo Staneex Imp. & Exp. Co., Ltd.
We can put your logo on the shoes, and we also can make the shoes according to your design. If you like, you can tell us your idea, then we make the sample for the testing. But once you place the order to us, smaples charge can be directly reducted from order amount. 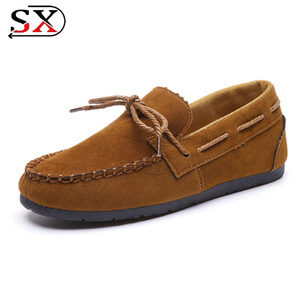 Guangzhou Footluck Footwear Co., Ltd.
Yiwu Shuhuai Trade Co., Ltd.
Alibaba.com offers 1,231 women's casual moccasin products. About 17% of these are genuine leather shoes, 9% are women's casual shoes, and 5% are women's slippers. 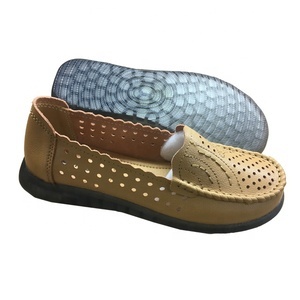 A wide variety of women's casual moccasin options are available to you, such as free samples, paid samples. 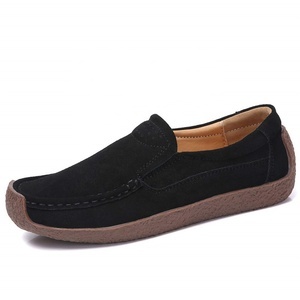 There are 1,152 women's casual moccasin suppliers, mainly located in Asia. The top supplying countries are China (Mainland), India, and Pakistan, which supply 97%, 1%, and 1% of women's casual moccasin respectively. 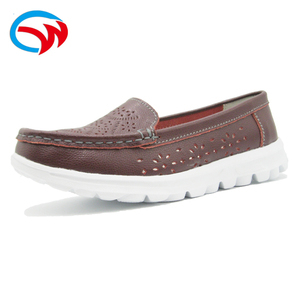 Women's casual moccasin products are most popular in North America, Western Europe, and Eastern Europe. You can ensure product safety by selecting from certified suppliers, including 90 with Other, 69 with ISO9001, and 67 with BSCI certification.